Young people who will lead the country in near future are now passing such a situation that most of them feel disheartened about their career and future. We know in every year hundreds of thousands of graduates and post-graduates come out from different universities, colleges and other educational institutions. But the scope of jobs created in our country is no match with the numbers of graduates and masters coming out from the universities and colleges. What Bangladesh will do with this large numbers of young people want to join the job is a very big question but in reality the job market is not that much big in comparison to the graduates coming out in every year. 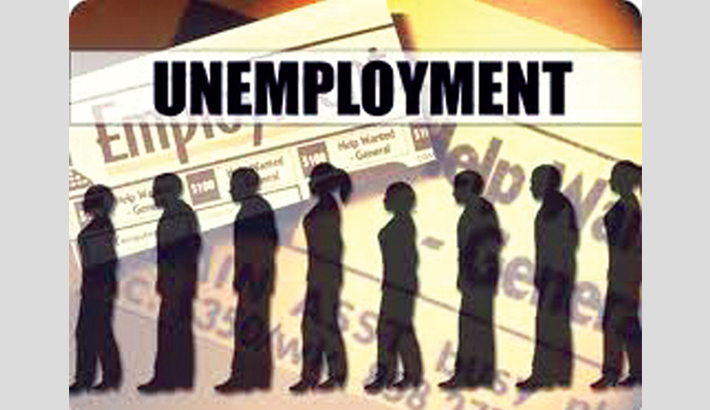 The existing job market is not in a position to cope with these prevailing situations. After independence now the population increased up to 175 million from only 75 million and at the same time the number of young people has also increased. We know many new industries have been set up and big business houses have also been set up during the decades of nineties, two thousands and two thousand tens. A large number of young people got employed in those industries and business houses. But what we are seeing in suburbs is that the young people are loitering in the district and upazila towns. They usually come to the restaurants of the crossroads of the town, smoking cigarettes and passing idle time there. After having breakfast in their home and then they come out and start loitering in the main road side and streets of districts and upazila towns. Apparently they are less interested to their studies. They are not regular in their colleges and schools. Parents of those young chaps have lost patience and for that reason these boys are going out of control and discipline. This is one side of young peoples’ life style. Many of them discontinued their studies at this stage of age of their lives and are trying to do something for income generation. Some of them become successful and some are not. And within a very short time everything of their lives turned to a lost dream whereas in the early days of their lives they would have thought to become a successful person. In this condition parents and relatives of those young people have great responsibility to keep them on the path of right track of life. The guardian should treat and behave with them nicely. First of all they should think that these young people are passing their days with a great disappointments and despairs. So every guardian should be more compassionate to them. In Dhaka and Chattogram we see a large number of young people are loitering in parks, markets and other crossroads of the city. However, it is also true that the life style in Dhaka and Chattogram is not same as with the life of suburbs. Apparently it seems everybody of here is busy with some income oriented work. But there are a lot of people passing their days without any income generating activities. In our society one cannot carry any respect or honor if the person is unemployed. Young people of 25- 30 age group are the backbone of a nation. But if they are unemployed or passing their days without any tangible income generating work thus that makes them burden and dishonored in family and in society. As a consequence they become addicted to drugs and other narcotics and at the same time get involved with anti-social activities. This is happening in our society and everybody of us is very much concerned about this situations. In each year hundreds of thousand graduates are coming out from the universities and different institutions. But the employment scope and situation of our country do not cope with these phenomena. In present situation hundreds of thousands of highly educated youths are not getting their expected job as according to their aspirations. Some get sub-slandered jobs and those do not match with their educational qualifications but for the sake of existence they are doing those jobs. We know any kind of job is the identity of a particular person. Persons without jobs always face identity crisis in society. This has created a serious situation in our social texture. Many disheartened youth try to seek the path of suicide. We know there are many causes behind the suicide such as affair, family problem, financial problem, mental anxiety, illness and disappointment. Among those, disappointment is one of the major causes of suicide in our society. Recently a new dimension of income generation of young people has been created in the capital city, Dhaka. Many new companies like Uber started their function as ride sharing company in the country. And a large number of youths are earning money for them and their families. Some of them are also student took this profession as a part time work. Eventually, it may be expanded to Chattogram and other big cities in Bangladesh. Steps are needed like Dhaka and Chattogram for income generation of young people otherwise unsocial activities and drugs will be popular activities to them. Apart from the drug addictions and unsocial activities ‘eve teasing’ is also spreading among the young generations. Many of them are regularly involved in such type of activities. It is very common picture in rural to urban areas that young people loiter on the road side of the girl’s schools and girl’s colleges. For these activities the girl students feel very insecure when they go to and come back to their home from the school. a. Young people of rural areas went up to college but many of them did not pass the HSC. b. Many young people of suburbs who are graduate or not pass their days without any work but to create problems in their families. c. Young people of Dhaka and other big cities try to find out some income generating work and some are becoming successful and some are not. Apart from those situations the government/private organisation tries to employ the young people in different trades. Youth development directorate, expatriate ministry and other private organisations are working hard to employ the unemployed youths at home and abroad. Many youths are now becoming self-employed after getting training on different trades in youth development directorate. So in this situation government can take an integrated effort to classify the unemployed youths and try to make their career smoother. Suppose who are unskilled and not much educated might be ideal labor force in the Middle East, Malaysia, Brunei and other labor hungry country. Though this sort of effort is already in action but cost of overall package of their going abroad can be lessened. The unemployed youth who are graduates and masters might have a dream to be executives of different public and private enterprise. Government should take special effort and introduce integrated action plan for them, so that they can prepare themselves for quality jobs in our country. In this way the future and career planning of our young generation can be smoother and easier. The appropriate authorities, planners of the country can think over this issue.